Land Rover models have been chosen by Fairhope drivers for years, thanks in no small part to their sophistication and dedication to adventure, no matter the trim level. The Land Rover Discovery Sport model is no different, with a strong emphasis on luxury, technology, and performance. For instance, you’ll enjoy an 8-inch touchscreen, HD Radio or SiriusXM Radio, an enhanced sound system, and a 2.0L inline four engine that offers 240 hp and 250 lb-ft of torque as well as an EPA-estimated 25 highway mpg and 20 city mpg. Basically, it’s everything a Destin driver needs, in the city or on the trail. 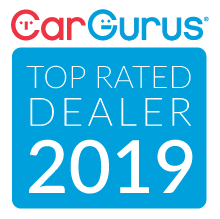 Firenze Red Metallic 2019 Land Rover Discovery Sport SE 4WD 9-Speed Automatic 2.0L I4 Turbocharged REVERSE TRAFFIC DETECTION, 18" Black Design Package w/Black Contrast Roof, Auto-Dimming Interior Mirror, Black Contrast Roof, Blind Spot Monitor w/Closing Vehicle Sensing, Climate Comfort Package, Convenience Package, Gloss Black, Heated Front & Rear Seats, Heated Steering Wheel, Heated Windshield, HomeLink, Navigation System, Passive Entry, Perforated Grained Leather Seat Trim, Powered Gesture Tailgate, Wheels: 18" Gloss Black Finish (Style 511). Let the team at Joe Bullard introduce you to an entirely new kind of car-buying experience. You will love doing business with us no matter where you live! If you’re looking for your next Land Rover or Jaguar we have them! We stock over 200 pre-owned cars including all makes and models to fit your lifestyle! We have your next used car, truck or SUV and something for every taste and every need. If you want peace of mind our Certified sales staff and technicians are here to help! We offer a variety of financing opportunities! If you are asking yourself what is my trade worth, we can help you answer that too! Servicing the Mobile Alabama area and we ship to anywhere in the US! We stand up to what we say and its simple! The customer comes first! Visit us at any of our locations or 24/7 at www.joebullard.com. White 2019 Land Rover Discovery Sport Landmark Edition 4WD 9-Speed Automatic 2.0L I4 Turbocharged Navigation / GPS, Sunroof / Moonroof, Rear Back-Up Camera, Leather Seats, Heated and cooled seats, USB / AUX Ports, Keyless Entry, Memory Seat, Cruise Control, Steering Wheel Controls, Multi-zone Climate Control, 10 Speakers, ABS brakes, Adaptive Xenon Headlamps w/LED Signature DRLs, Auto High Beam Assist (AHBA), Automatic Emergency Braking (AEB), Blind Spot Monitor w/Closing Vehicle Sensing, Climate Comfort Package, Driver Assist Plus Package (InControl Touch), Electronic Stability Control, Front dual zone A/C, Head-Up Display, Head-Up Display & Park Assist Package, Heated door mirrors, Heated Steering Wheel, Heated Windshield, Heated/Cooled Front & Heated Rear Seats, Illuminated entry, Lane Keep Assist w/Driver Condition Monitor, Low tire pressure warning, Navigation System, Navigation System (Touch), Parallel & Perpendicular Park Assist, Power Liftgate, Remote keyless entry, SiriusXM Satellite & HD Radio, Split folding rear seat, Surround Camera System, Traction control, Traffic Sign Recognition, Vision Assist Package, Wheels: 19" 5 Split Spoke (Style 521). Recent Arrival! Let the team at Joe Bullard introduce you to an entirely new kind of car-buying experience. You will love doing business with us no matter where you live! If you’re looking for your next Land Rover or Jaguar we have them! We stock over 200 pre-owned cars including all makes and models to fit your lifestyle! We have your next used car, truck or SUV and something for every taste and every need. If you want peace of mind our Certified sales staff and technicians are here to help! We offer a variety of financing opportunities! If you are asking yourself what is my trade worth, we can help you answer that too! Servicing the Mobile Alabama area and we ship to anywhere in the US! We stand up to what we say and its simple! The customer comes first! Visit us at any of our locations or 24/7 at www.joebullard.com. In order to appreciate the detail that went into this model, you’ll need to check one out. 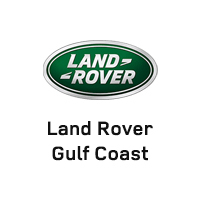 Land Rover Gulf Coast has a great selection, so visit us today at 1419 E I-65 Service Road S in Mobile, AL, or contact us at 844-334-4108.